SPRINGFIELD — The governor signed a law today to crack down on unlicensed employment agencies, enacting a plan put forth by State Senator Linda Holmes and Attorney General Lisa Madigan. The law addresses regulations that have not seen substantive updates in decades and that currently provide inadequate tools for the Attorney General’s Office to enforce compliance. Workers who have been placed by such unregulated agencies have alleged numerous instances of abuse at the hands of employers, including being made to work 6-day work weeks of 12-hour shifts to pay off referral fees. They have alleged being referred to jobs that pay below the minimum wage, being housed in crowded and substandard conditions and being denied medical treatment for on-the-job injuries. “My office initiated this legislation after uncovering instances of low-income and immigrant workers being subject to dangerous and often illegal working conditions. They were placed in those conditions by employment agencies that were frequently operating without licenses,” Madigan said. In addition to providing civil penalties for such violations, Senate Bill 1859 directs the Department of Labor to create and maintain a database of employment agencies with suspended or revoked licenses, requires employment agencies to keep records of their placements longer and provides whistleblower protection to employees who report misconduct. 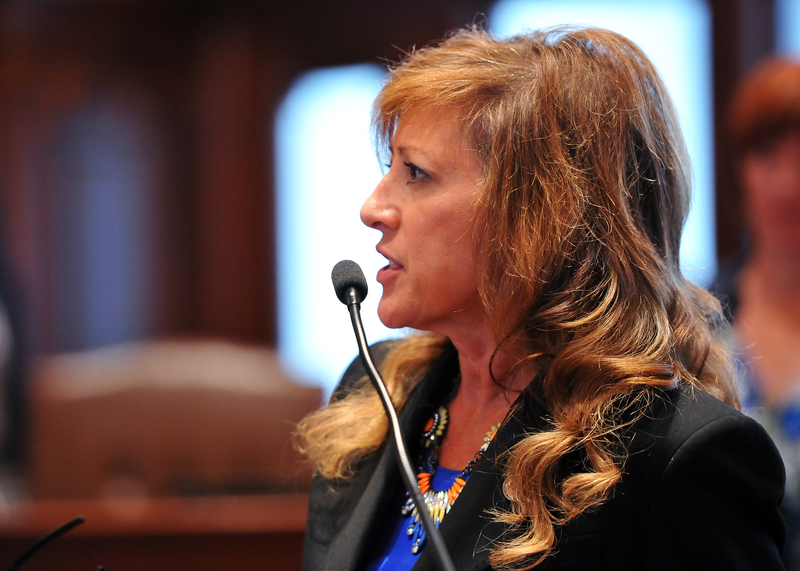 Senate Bill 1859 was signed into law today and goes into effect on January 1, 2016. 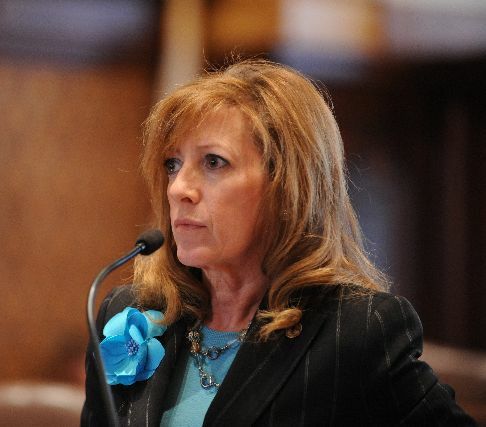 SPRINGFIELD — State Sen. Linda Holmes issued the following statement following a Wednesday vote in the Senate to restore funding and original entry requirements to the Child Care Assistance Program. The legislation is Senate Bill 570. It proceeds to the House for consideration. I was excited to join Excel Displays & Packaging to unveil a new printer that will put them on the cutting edge of custom packaging design. The only one of its kind in North America, the new printer will help them ramp up production and continue to be a cutting edge company right here in Aurora. I was pleased to join state Senator Jim Oberweis at Marmion Academy this week to help host a Senior Fair. 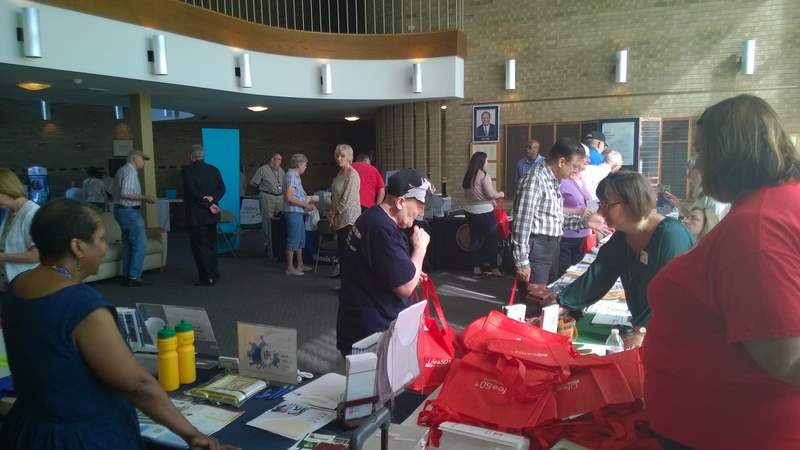 We saw a good turnout of senior citizens, who spoke with representatives from organizations like the AARP, the Northeastern Illinois Agency on Aging, the Aurora Public Library, Secretary of State and Treasurer's Offices, and many more. They provided information on a wide variety of services available to our senior citizens. If you believe senior citizens in your community would be interested in a similar event, please contact my office.